Family owes $120 but is paying only the Registration Fee of $25.00 with Check #1025 on 12/1/2016. Click the Registration Fee Apply Amt field. 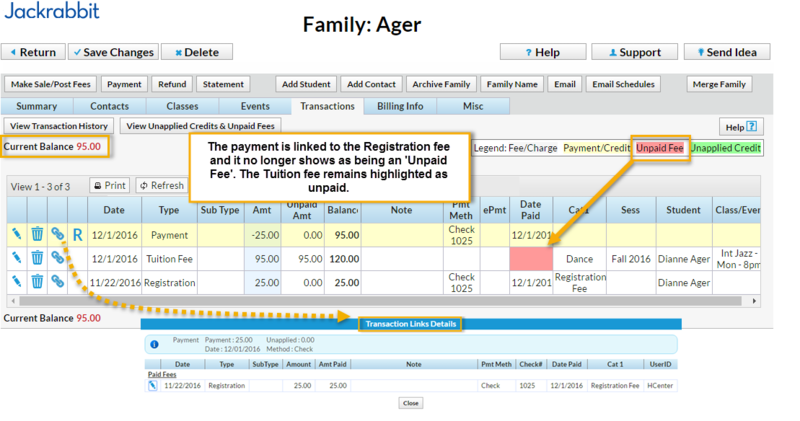 The Transactions tab shows the Registration Fee and the payment 'linked' and the fee no longer shows as unpaid. The Tuition Fee remains unpaid and the Current Balance is reduced to 95.00.